Designed for automated high-volume production processes, Copernicus II is a complete 12-channel GPS receiver in a 19x19x2.5-millimeter shielded module. 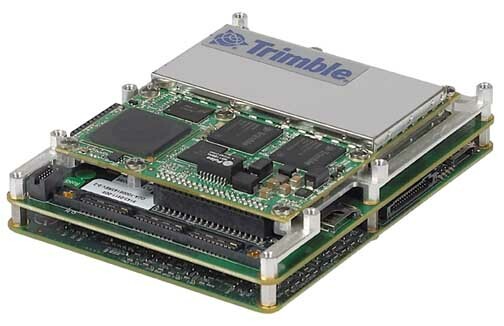 The single-sided receiver is packaged in tape and reel for pick-and-place manufacturing processes and features a 28 reflow-solderable edge castellation interface so that the module can be incorporated into a product design without costly I/O and RF connectors. The Copernicus II is a direct drop-in replacement for the earlier version of the Copernicus receiver and outputs NMEA, TSIP, and TAIP protocols. With version 3.0 firmware, the Copernicus II GPS receiver can generate position fixes in challenging environments and under poor signal conditions (down to -160dBm), according to the company. It is available with either active or passive antenna. The receiver typically consumes 120 milliwatts at full power with continuous tracking. 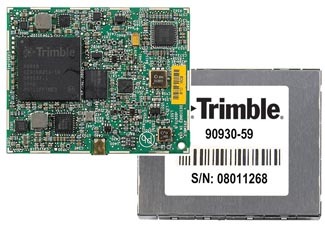 A starter kit includes the reference interface board, which provides a visual layout of the Copernicus II module on a printed circuit board including the RF signal trace and RF connector, as well as the I/O and power connections of the 28 signal pins. Also included are a power converter, power adapter, GPS antenna, and software. Trimble, Sunnyvale, California, USA.